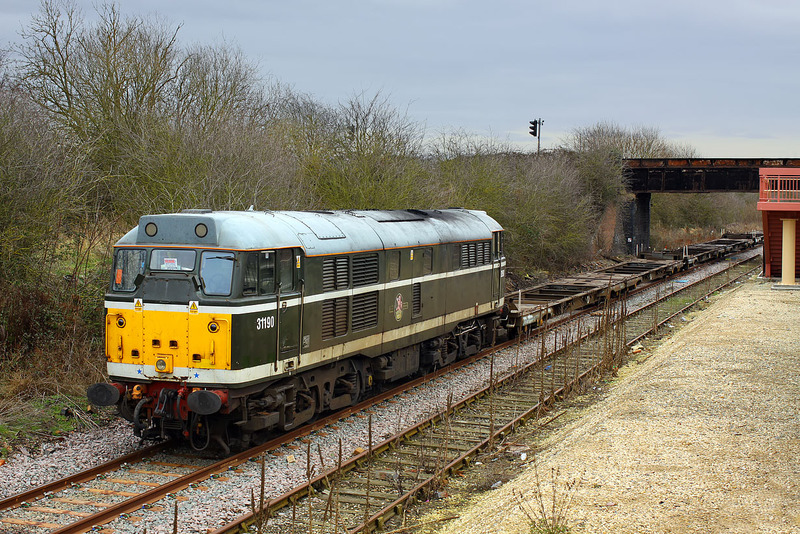 With its engine switched off, and no crew members anywhere around, 31190 sits on the back road at Honeybourne station on 7 February 2013, with a short rake of flat wagons forming the 6Z31 Long Marston to Stoke Marcroft Engineering. The booked departure time from Long Marston was 14:20, whereas it actually left at 12:45, hence the long layover at Honeybourne. Note the copy of Rail magazine behind the centre windscreen!